The phrase friendly service has become something of a restaurant review cliché, but here it really is true. You feel like you are part of an extended family gathering, and are met by what has to be the best and most genuine smile of any waitress in the Algarve! Fish and seafood are obviously their speciality, and it doesn’t get fresher. You’re close enough to the sea to see the last location of your meal before it reached the kitchen. 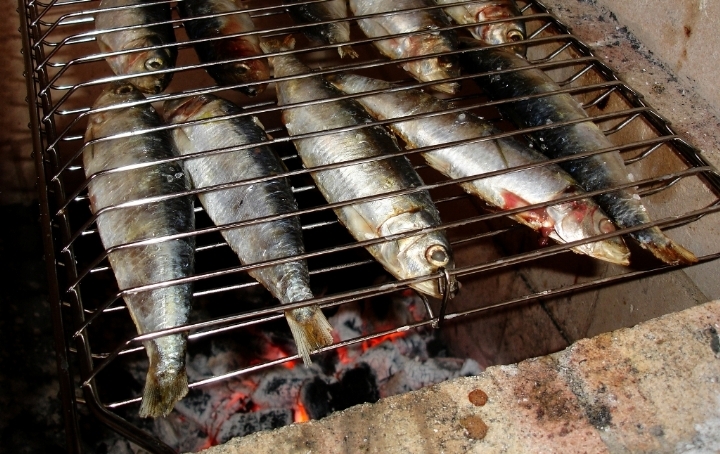 Great sardines of course, but also sea bass, sea bream, swordfish and red mullet, all sold by weight (check the price first). Then there are some of the house speciality dishes - acorda, rice and cataplana in a variety of fish and seafood permutations, all freshly cooked. A good selection of Portuguese wines, plus the usual array of beers, spirits and soft drinks. Apart from the amazing food? It’s so different from almost anything else in the Algarve, even in ‘real’ non-touristy locations like Olhao and Portimao. The trip to the island is part of the experience, and the welcome is fabulous. We were admiring the langoustines on the next table and were promptly given a free plate to try. And when the mosquitoes came out to play, we were handed citronella sticks to smear ourselves with. Service like that is natural - it can’t be ‘trained’ into you. Lazy lunchtimes, or to watch the sun go down. The warmer the weather, the better, but even in the height of the season it won’t be crowded - it’s big enough to cope, even though it is, quite rightly, very popular with Faro and Olhao locals in the know. Not a place for a rushed meal. Factor in the time it takes to get there and back if you are making a special trip just to eat, and the fact that all the dishes are freshly cooked, so enjoy a starter. 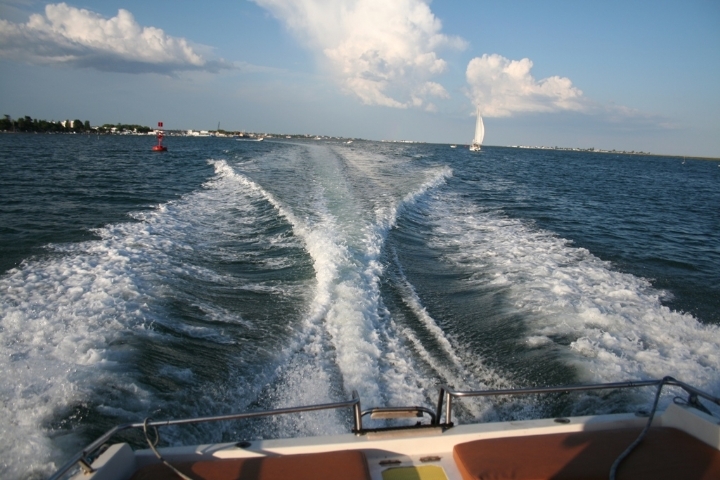 Relax, and enjoy the atmosphere, the food and the drink: somebody else will be at the wheel of the boat! The restaurant's website includes sailing times for the boats to get you there. Can easily take over 200, with seating upstairs, downstairs and on the terrace. 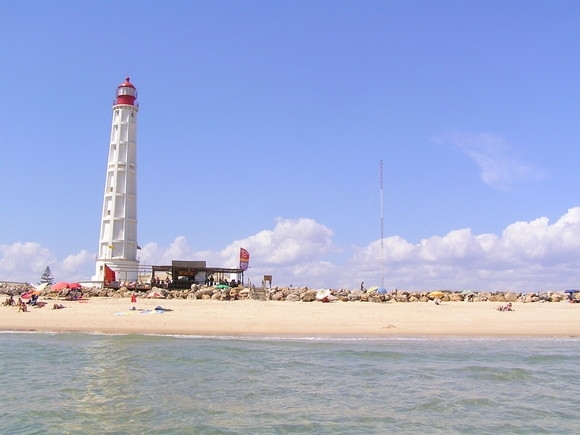 On Ilha do Farol in the Ria Formosa, reached from either Faro or Olhao. Ferries run throughout the summer from the pier at Portas do Mar in Faro. The trip takes 40 minutes and costs €3 return. See www.silnido.com for more details. A water taxi from Olhao costs €30 each way (regardless of numbers) and takes about 15 minutes. From the quayside where you are dropped, it’s a five minute walk through the village. Just follow the signs. Acorda, rice and cataplana dishes from €25-€45 for two people.